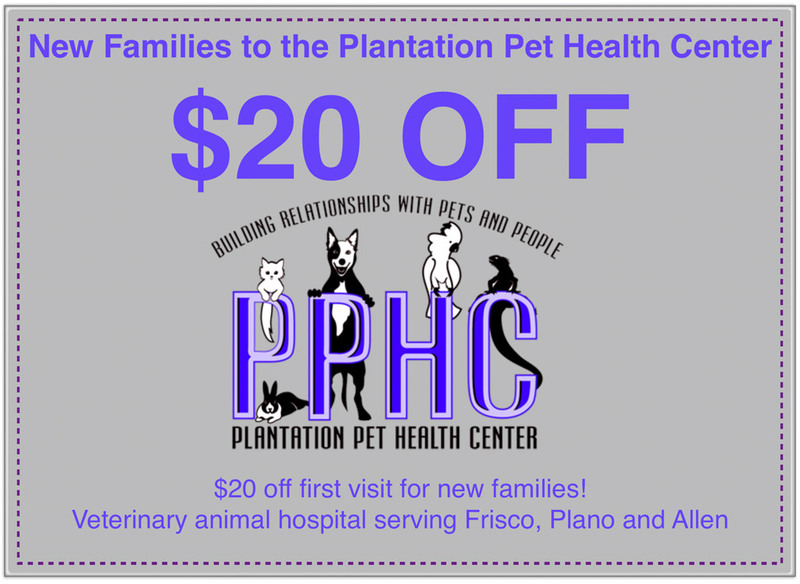 The following pet specials, promotions, and discounts are offered at the Plantation Pet Health Center (PPHC) in Frisco. 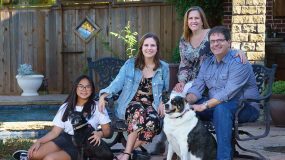 At PPHC, we strongly believe that preventative medicine is the key to longer healthier lives for our patients. 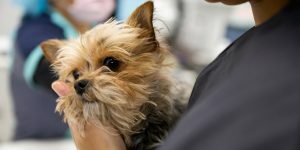 So, we are constantly searching for discounts from pharmaceutical companies to make pet health care affordable. 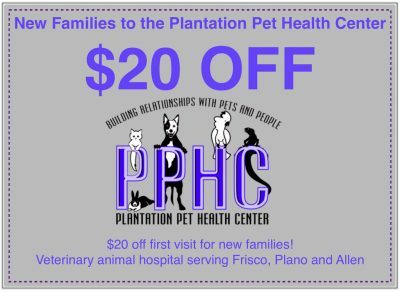 New Pet Family Discount: $20 off first visit for new families. 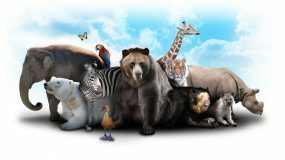 Educator and Protector Discounts: Discounts are available for teachers, veterans/military, and police/fire! 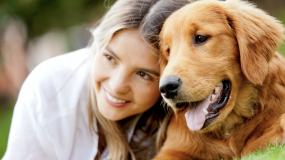 Referral Discounts: We appreciate your referrals and offer incentives for referring clients! PPHC Staff will process all rebate paperwork for you! Pharmaceutical manufacturer expiration dates for discounts may vary. 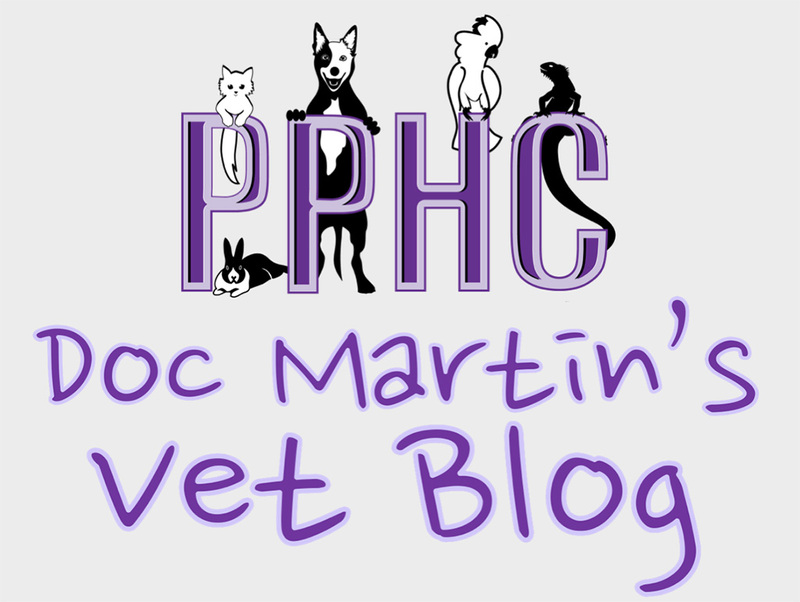 Each month Doc Martin promotes a different aspect of animal healthcare by focusing on educating our clients about specific veterinary services. 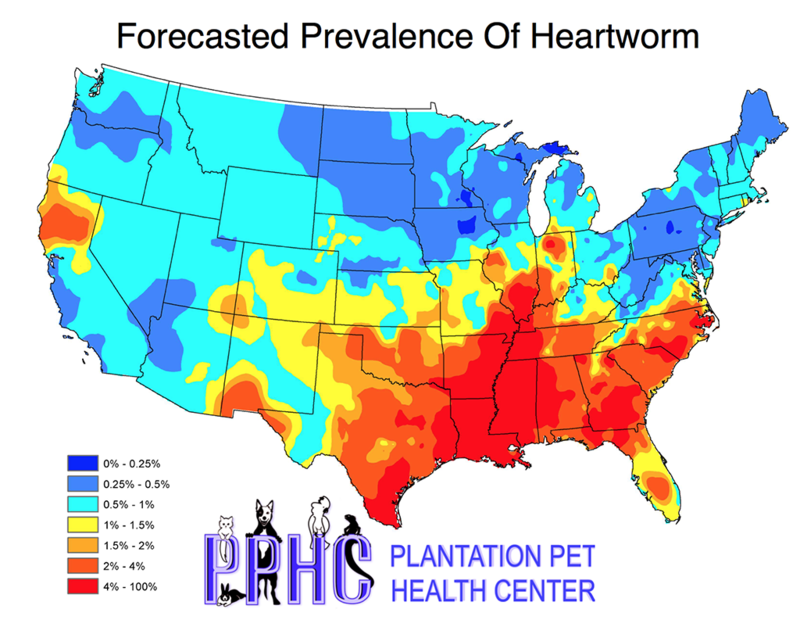 Our goal is to emphasize the importance of prevention as well as healing. Don’t scare your pets on Halloween! 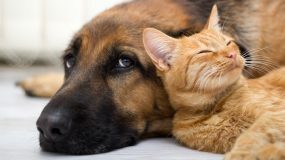 December – Pet Arthritis Awareness.